I love meeting people motivated by their business and interested in Saint John. I feel like I’ve known Janet for years. Back when I used to live on Pitt Street, I would drive by her every morning on my way to get a coffee at Java Moose. By the time I was up to the front of the line to order my latte, she was there and trading friendly smiles. It wasn’t until this past winter that we really connected and had a conversation. It was at the time that I grabbed her e-mail address and pitched this idea. 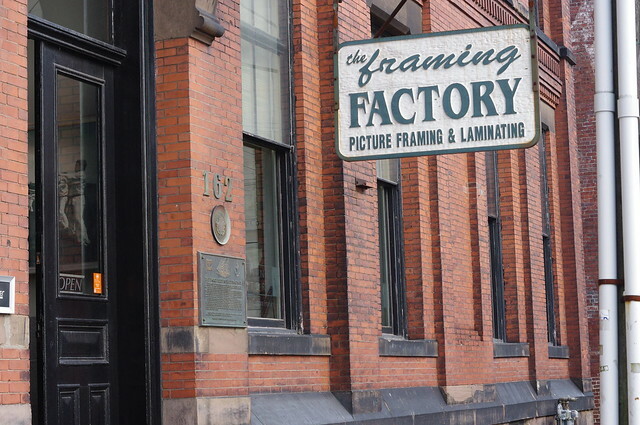 Keeping with the theme of creatives living and working in Saint John – Here’s Case No. 9. Janet Chang in her Natural Habitat. Hi Janet! Tell me about yourself and what you do. 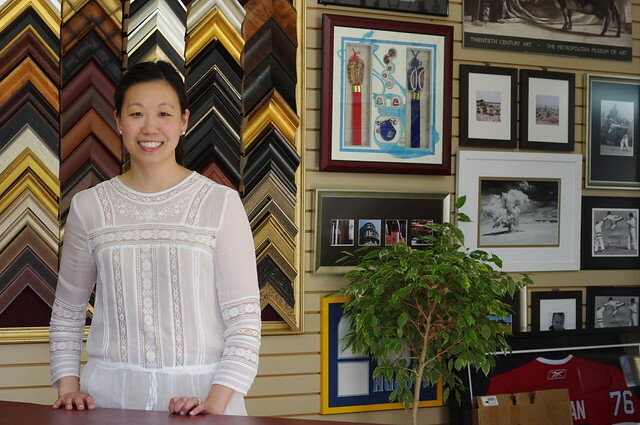 Hi, my name is Janet Chang and I am the owner and operator of a custom framing shop called the Framing Factory, which is located in the heart of uptown Saint John. 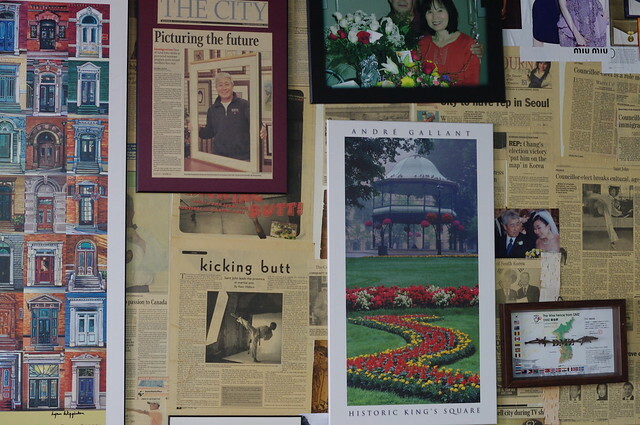 My father opened this business in 1988 and then passed it on to me about 5 years ago. In my teens, I spent most of my summers working with my dad doing little things like bringing his lunch, cleaning, running errands and answering the phone. As I got older, he started teaching me little things about the business. At the time, I didn’t think that this was something I wanted to do but when he decided to retire and asked if I wanted to take over, it felt natural to step into his shoes and run the shop as my own! So far so good… l still like coming into work everyday… which I think says a lot! 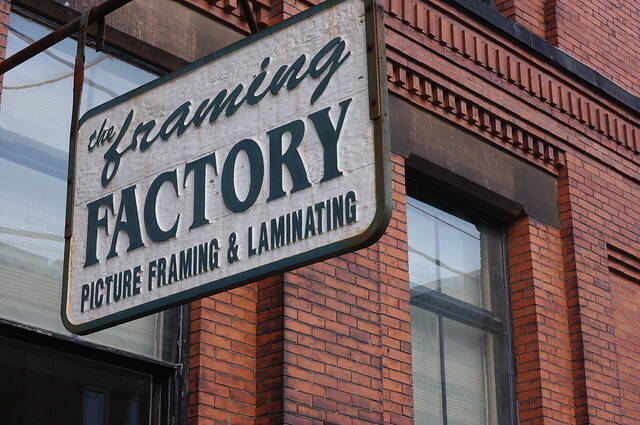 We are basically a full custom framing and plaque lamination business. I’ve framed and mounted pretty much everything from hockey jerseys to vintage photos of someone’s great- great grandmother. I think it is really wonderful to have customers share their stories about the items they want to frame… they are always so happy. It’s nice! 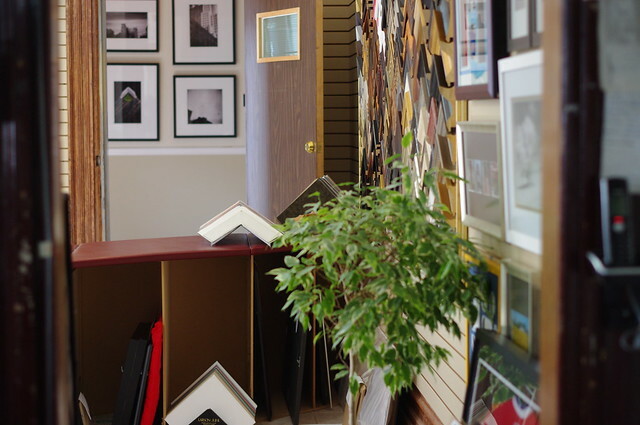 I wouldn’t say that I have a “typical” client… I work with alot of businesses that need framed items for their offices or staff, photographers, designers and just regular people who want to frame things for their home! Coolest thing this year? hmmm… I think everyday something interesting happens. Oh! we’ve just started offering printing services so that is pretty exciting. Other than that, I think I’m doing little things everyday to improve the shop to make it my own! I started renovating my back room to make extra working space… it’s been a slow work in progress. My goal is to have it done by the end of the year! Being my own boss, I have the convenience of deciding how each day will go. Usually, starting with a coffee and being at work early (like 7:30am early) just to relax before the day starts. Years ago, my father put up a motivational quote (in Korean) in the shop which translates to “Finish today’s work today”… I try to work by those words so the day never gets stale.